Water constitutes 95 percent of normal urine while salts, urea, uric acid and enzymes occupy the other five percent. For most of us, pee belongs to the toilet and we have no interest in the color or smell of urine. Why talk about urine while this is a personal matter? Because it can help you identify the presence of a medical condition. For such a long time, doctors refer to the results of urine tests and determine the health status of their patients. Urine with strong odor could signify that something might be wrong. The odor and color of your urine can indicate the presence of some ailments, as well as the amount of fluid and food that you have consumed. 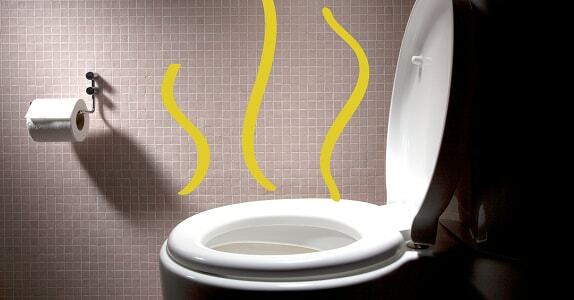 When you wake up, you may pass urine with strong odor due to the high concentration of waste material. After spending many hours in your warm bed, your body loses water. At the same time, some of the waste matter from the food you ate the previous evening ends up in the urine. This causes the strong smell of ketones in your early morning urine. Foods such as asparagus, medication such as penicillin, and chemical substances including phosphates and nitrates can contribute to the smell and color of urine as well. If you also notice a stinging feeling when urinating, it could be indicative of the high acid content of your urine. You can resolve this by taking about three liters of water per day. Sertraline, a medication used to treat depression, can lead to urinary symptoms such as strong smelling urine and difficulty in urinating. If you are on sertraline and experience such symptoms, consult your doctor for tests and advice. Bladder Fistula: It may also cause the abnormal leakage between the intestines and the bladder. Urinary Stones: The smell of urine in this condition would be like ammonia. Maple Syrup Urine Disease: It is a rare condition that occurs when a person has an inability to break down some amino acids. Diabetic Ketoacidosis: This diabetic complication arises due to inadequate insulin in the blood stream and therefore inability to break down blood glucose for energy. This forces the body to break down fat, thereby producing strongly smelling ketones. You are diabetic and notice that your urine has a sweet smell. This could indicate that you are not managing your diabetes properly. If you experience a repeating urge to urinate, a burning sensation or pain during urination, you may see your doctor because it's possible that you have UTI. You can get rid of the foul urine smell by avoiding asparagus as well as cutting down your intake of the above food items. Also, fruits can help reduce the effects of pungent foods on body fluid odor. For the best results, eat two or more servings of fruit daily. Because water is the main component of urine, whenever you are dehydrated, your urine will contain less water than normal. This means that the urine will contain a higher percentage of urea, uric acid, salts and enzymes, leading to urine with strong odor. You can reduce the strong smell by taking about eight glasses of water daily. Besides food, bacterial urinary tract infections are an important cause of strong smelling urine. UTIs may also present with abdominal discomfort, cloudy urine and a burning sensation when urinating. If you suspect a UTI, consult your doctor for treatment. What Does Urine Color Say About Your Health? While pink or red colored urine may signify a UTI, kidney disease, prostate disease or even a tumor, it may also be the result of a diet rich in beets, carrots, blackberries or rhubarb. Medication such as rifampin can also lead to pink-red colored urine. If you notice a pink or red color in your urine and you are neither on such medicines nor have you eaten large quantities of the above food, you need to see your doctor. Your pee can turn orange if you are on medications such as phenazopyridine which is used to treat UTIs, isoniazid antibiotic and high quantities of vitamin B2. A similar color can be the result of dehydration or problems with the bile duct or liver. A blue or green hue in your urine can result from eating similarly colored foods. It can also be due to medicines such as promethazine which is used to treat allergies and asthma, and propofol, an anesthetic. Some medical conditions can also lead to blue/green urine, therefore if the color remains beyond a few days, consult your doctor. If you notice foaming or frothing in your urine, you should consult your doctor. It may indicate the presence of protein in your urine due to kidney disease.